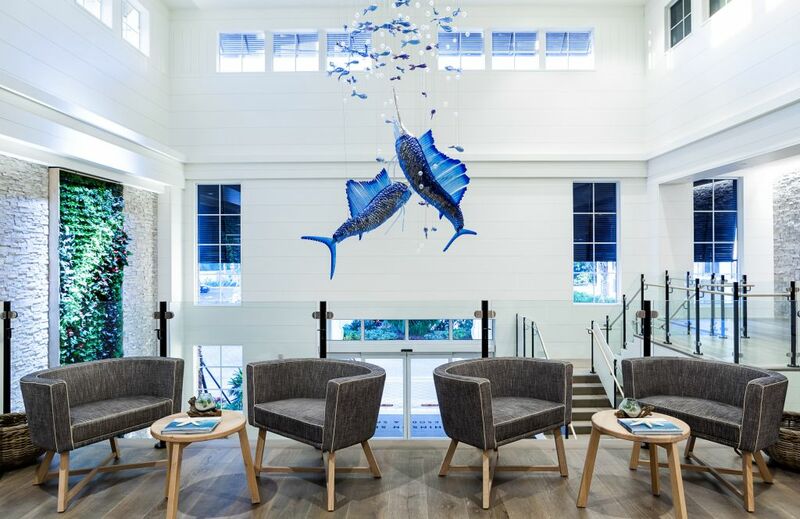 For a true beach getaway inside and out, visitors flock to the Hutchinson Shores Resort & Spa in Jensen Beach, Florida. 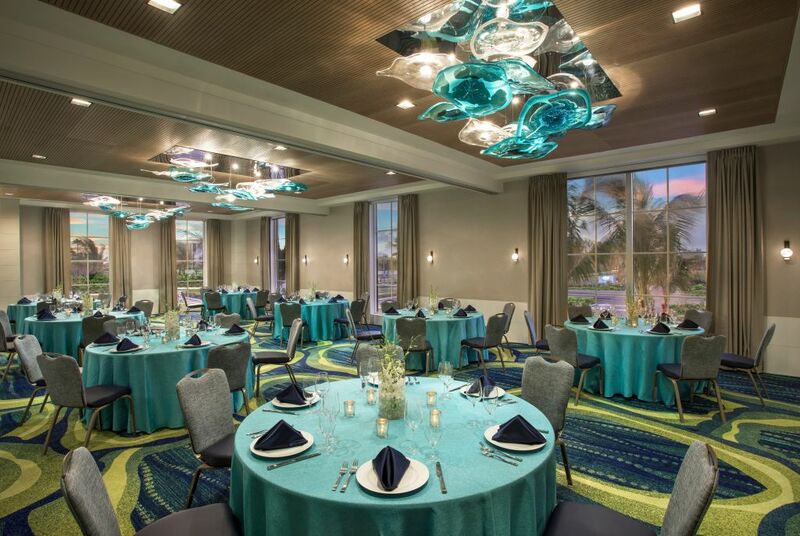 Located on what’s known as the Treasure Coast, the resort offers coastal-inspired décor, a spa and event space. 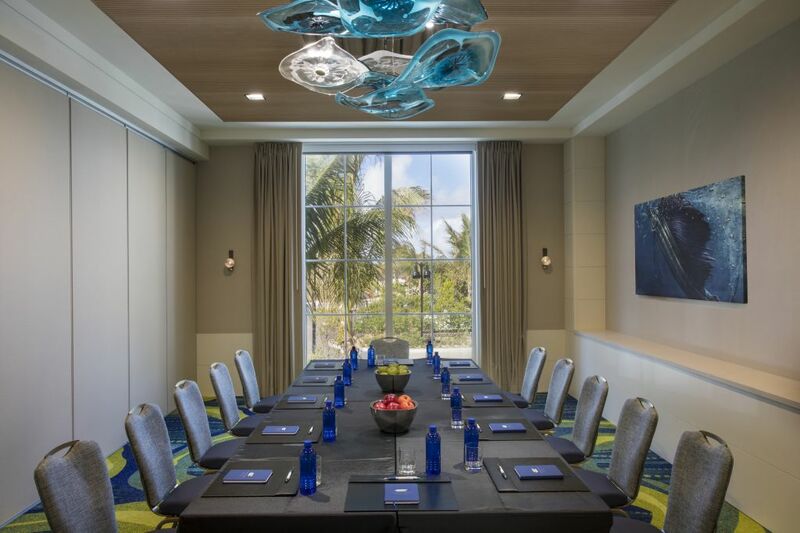 Preciosa was pleased to add a touch of the sea in the lighting we produced for the resort’s lobby, Kingfish Ballroom and meeting spaces. 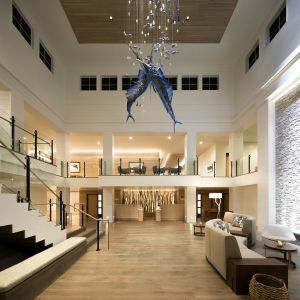 Hutchinson Shores’ nautical luxury can be felt the minute you enter the lobby and spot a duo of dangling sailfish. Preciosa produced the sailfish based on the designer’s inspiration. Both are 300 centimetres long and made of hand-blown glass, slumped glass, brass, and stainless steel. Hand-blown blue bubbles drift around the fish, giving the entire installation a floating feel. 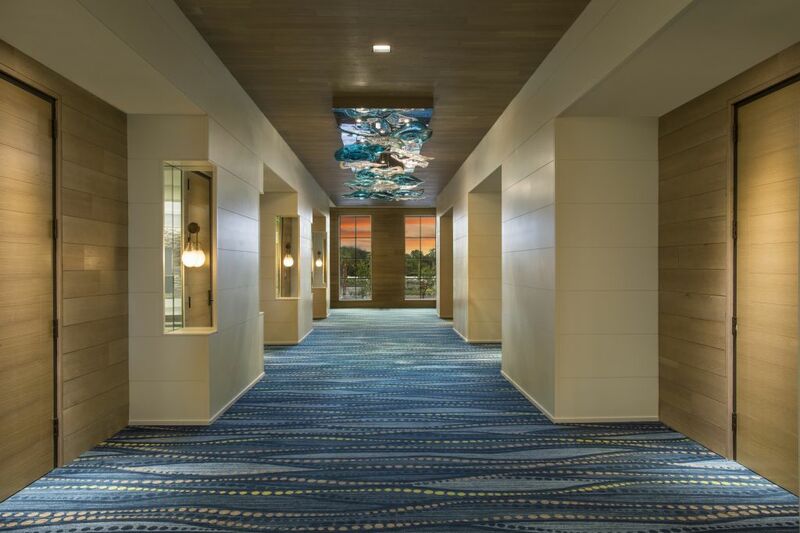 One of the biggest challenges of this project was concealing the cables that enable it to be suspended from the ceiling. A bit of ingenuity went into the installation to ensure no distracting wires could be seen. 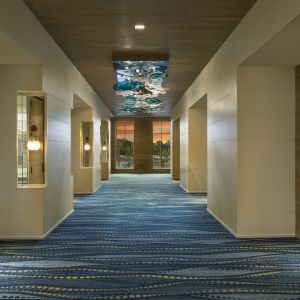 Preciosa carried the sea muse through to the Kingfish Ballroom. 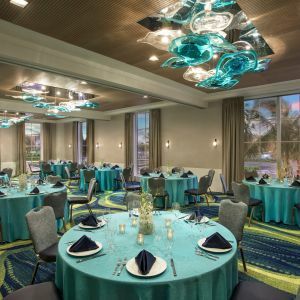 Reminiscent of floating jellyfish, Preciosa designed three chandeliers, each made of 14 plates of hand-blown glass. 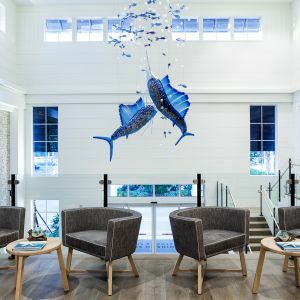 Created in four different sizes and colours (light blue with opal, light blue, clear with opal and clear) the installations bring the sea just a bit closer. 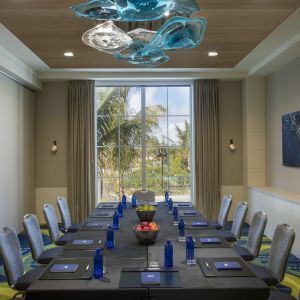 A larger style of these chandeliers, made with 29 plates, can be found in the pre-function area, while a meeting room features a smaller version.